Composer Peter Nashel's score for the recent film-adaptation of Myra Goldberg's best selling novel, BEE SEASON, is an understated, almost therapeutic listen. The score fits tightly into the genre of film music mastered by contemporary composers such as Thomas Newman, Mychael Danna and Jeff Danna. The film which touches on several main threads of modern-day society: family-dsyfunction, intellect, and spirituality features an aptly matched score. BEE SEASON is characterized by the abundant use of bells, chimes, plucked strings, dark piano solos, and airy, expansive synths. What might be considered the score's "spiritual theme" is found in tracks such as What is a Mystic (track 6) and Abulafia's Path (track 9). The theme features the violin a la James New Howard's THE VILLAGE OR SNOW FALLING ON CEDARS. While the headline track is undoubtedly the opening track, I'll be Near You, performed by IVY, the meat of the soundtrack's character is carried by the film's score. 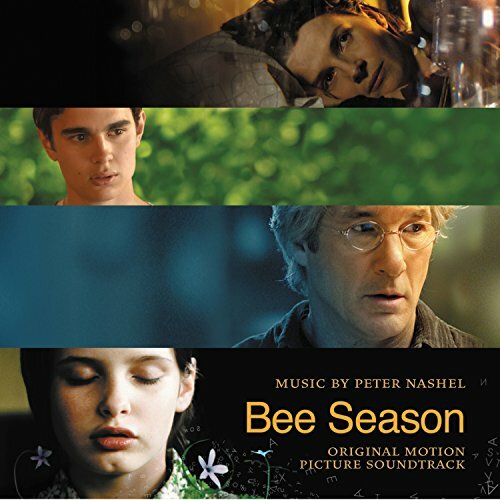 Peter Nashel's BEE SEASON is a solid effort and effective as a unobrusive-listen.